Arrive at Changi International Airport and get transferred to your hotel. Post check-in, relax in your hotel room before heading for the interesting night safari. The world’s first Night Safari will unfold the mystery and drama of the tropical jungle after dusk with stunning effects. See a myriad of nocturnal animals, from fierce predators to timid forest dwellers, in their natural habitat under subtle moonlight. Return to your hotel for the night. 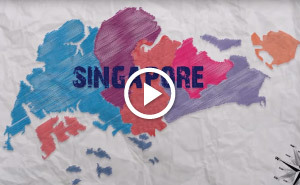 Post breakfast, head for an exciting half-day city tour of Singapore. Visit the top landmarks of Singapore like the Civic District, Padang, Cricket Club, Parliament House, Supreme Court, City Hall, Merlion Park and views of Marina Bay. You will also visit the popular Thian Hock Keng temple before driving past Chinatown. Also visit the local handicraft centre and National Orchid Garden. Spend the night in the comfort of your hotel. Have a delicious breakfast at the hotel and head to the famous island of Sentosa that features multiple attractions and fun rides for kids, adults, couples and families. Your highlights here include, one-way cable car ride, Madame Tussaud's, IOS Alive, Marvel 4D* and Wings of Time. Return to your hotel for the night. After breakfast, check-out from the hotel and transfer to the cruise terminal. Board the beautiful Genting Dream Cruise that combines smart cabins, restaurants and recreational areas with 6,000 square feet of premium duty-free shopping arena. Depending on your day of travel, you will be cruising either to Port Klang in Malaysia or a high seas cruise in the Singapore international waters. Dinner will be served on-board. Spend the day on-board. Enjoy your breakfast and all other meals with a beautiful view. There are loads of activities thatwill keep you entertained for the entire day. Apart from activities, the cruise liner also features excellent casino arenas. Your cruise itinerary will differ depending on the day you choose to cruise. You can also opt for optional shore excursions available on board at an additional cost. After an eventful day, spend a comfortable night on-board. After a relaxed breakfast, complete the check-out formalities and proceed to Changi International Airport to board your flight back home. Return with beautiful memories of Singapore and plan your next vacation soon. Above prices are valid till October 28, 2018. Standard check in time is 1500hrs and check out time is 1000hrs. Supplement for guaranteed early check-in / late check-out on. Cruise package includes inside stateroom cabin. Package price will change in case an alternate cabin type is requested. Cruise cabins are subject to availability at the time of booking. All meals while on board are included in the cruise itinerary. All shore excursions will need to be booked and paid on board. Hotel rates in Singapore are based on during weekend only (Friday - Sunday). Surcharges will be applicable for travel on weekdays (Monday - Thursday). Above prices are based on the current rate of exchange SGD1 = INR 51. Exchange rate applicable on the day of payment will be considered for this transaction. The Cruise rates is based on SS45 days. It needs to be booked 45 days before the sailing dates. Additional surcharge will be applicable if booked less than 45 days. Additional Surcharges will be applicable for Peak Sailing dates & Friday Sailing dates.